This assembly can be used on 3M GVP-Series Belt-Mounted Powered Air Purifying Respirators (PAPR)s and 3M Supplied Air Respirator Systems. 3M H-Series 410 hood is constructed of Tychem QC Fabric. Hood provides easier breathing and a higher level of respiratory protection with exceptional comfort. The unique airflow design helps prevent fogging. 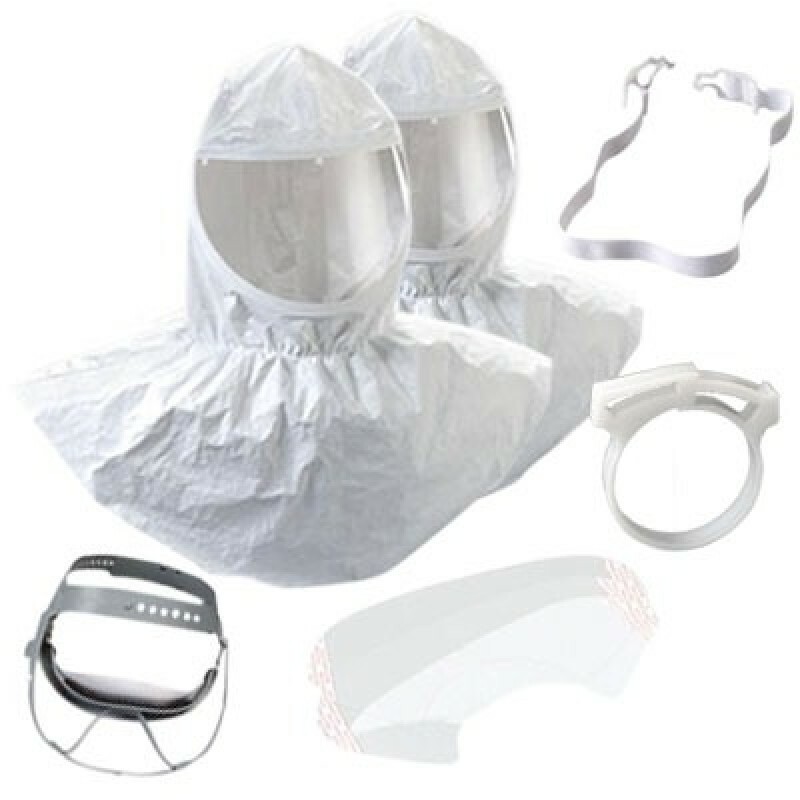 Hood's U-shaped faceshield provides excellent peripheral and downward vision. Can can be worn with facial hair and glasses. NIOSH Approved. Ideal for spray painting, coating operations, fiberglass manufacturing, pharmaceutical manufacturing, pesticide handling, gel coating and general maintenance. Note:This hood can be replaced with 3MMS-655 but in addition, breathing tube must be replaced with 3MMBT-30. Call customer service for further assistance.